Tonight’s Super Rugby final in Christchurch is expected to be a sellout. A Crusaders spokesman says the few remaining tickets for the match against the Lions at the 19,600 capacity AMI Stadium should be sold before kick‑off. The Mayor of Christchurch also said it was great to see so much community support for the team ahead of the final, which is being held in Christchurch for the first time in a decade. The Super Rugby trophy has been in Christchurch for most of the week, and was taken around schools and preschools, businesses, a retirement village and shopping centres across the city as part of the build‑up to the final, with many people taking the opportunity of having their photo taken with it. 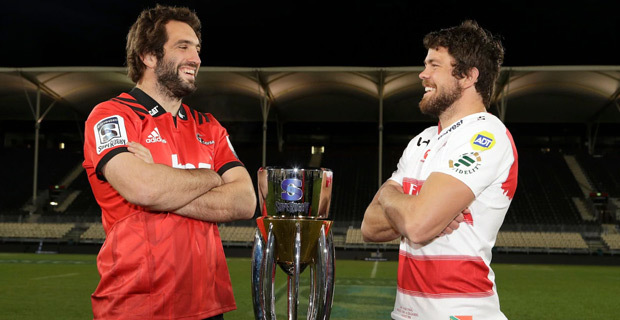 The Crusaders will take on the Lions in the Super Rugby final at 7.35 tonight.